RAND, THEODORE HARDING, educator, civil servant, and poet; b. 8 Feb. 1835 in Canard, N.S., son of Thomas Woodworth Rand, deacon of First Cornwallis Baptist Church, and Eliza Irene Barnaby; m. 5 Nov. 1861 Emeline Augusta Eaton in Canard; they had no children; d. 29 May 1900 in Fredericton. Descended from New England planter stock, Theodore Harding Rand was raised in Canard and educated in the secular and Sabbath schools of Cornwallis Township. The two formative influences in his youth were the natural beauty of his rural environment, which he subsequently immortalized in verse, and the Baptist Church, which claimed the adherence of nearly half the population of the township. While still an adolescent, Rand travelled to Boston, where he found employment in a drug store. He was soon caught up in the atmosphere of reform that characterized mid-19th-century Massachusetts, and he eagerly embraced the new ideas put forward by abolitionists, liberal theologians, and transcendentalists. Returning to Nova Scotia to acquire the higher education befitting his new intellectual leanings, Rand enrolled in Horton Academy in Wolfville in the fall of 1854. Here he escaped what Baptist educator Thomas Trotter* would later call “the frigid zone of rationalism” by experiencing a “second birth” during the religious revival that swept Horton Academy in the early months of 1855. Notwithstanding his return to the religious principles of his forefathers, Rand remained open to new ideas and continued to read widely. Poetic and imaginative by nature, he responded enthusiastically to the spirit of the Romantic movement then sweeping the western world. 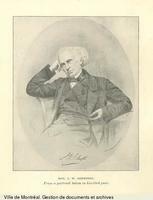 After graduating from Horton, he remained in Wolfville, attending Acadia College, from which he received a ba in 1860. Rand told a class-mate that he aspired to a literary career, perhaps as editor of a review or “better class” of magazine. However, his address at the graduation exercises focused on education and faith, the subjects that would preoccupy him for most of his adult life. There is no record of the contents of his presentation, but the topic was a timely one. The publication the previous year of Charles Darwin’s On the origin of species offered a challenge to the beliefs of fundamentalists, and the expansion and transformation of Nova Scotia’s school system in the following decade would require educators to define Christian education in the context of an increasingly secular and scientific age. After teaching briefly at Horton Academy, Rand was appointed in January 1861 to the chair of English and classics at the Normal School in Truro. Opened in 1855, the school was under the principalship of Alexander Forrester*, who also served as superintendent of education for the province. Forrester was laying the groundwork for a system of public schools and no doubt helped to shape Rand’s views on education. Rand, like most educated Baptists in the province, supported the introduction of state-supported, non-sectarian schools. With the accession to power in May 1863 of the Conservative party, led by two prominent Baptists, James William Johnston* and Charles Tupper*, the cause of public education in Nova Scotia was rapidly advanced. A series of school bills, passed in the legislature between 1864 and 1866, called for the creation of a public school system funded by general assessment. Tupper sought the advice of Forrester and Rand on the details of the 1864 legislation and in May of that year appointed Rand as the new superintendent of education, a position now separate from the principalship of the Normal School. The educational revolution wrought by the introduction of “free schools” in Nova Scotia was scarcely less controversial than the confederation movement, launched at the same time. The principle of general assessment was unpopular with parsimonious ratepayers, while Roman Catholics, who opposed the secularizing influences of public schools, resented the tyranny of the Protestant majority in the province. When Tupper appointed a co-religionist as superintendent of education, even supporters of educational reform erupted in open criticism. The most vocal objection to Rand’s appointment came from friends of Forrester (a Presbyterian), who, it was alleged, had been unceremoniously pushed aside for a younger subordinate. Forrester himself felt sufficiently slighted by the appointment to consider resigning from his post as principal of the Normal School. Rand had actually asked Tupper for the position, an audacious request on the part of the 29-year-old teacher and one made without the knowledge of Forrester, who had expected to retain the superintendency. Despite its unpopularity in certain quarters, Rand’s appointment demonstrated Tupper’s shrewdness in handling difficult issues of public policy. 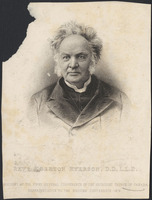 It was popular with the Baptists, who were strongly represented in the ranks of the Conservative party and who harboured a grudging sense that Presbyterian influence had undue weight at provincially funded institutions such as the Normal School and the recently resuscitated Dalhousie College. Given Rand’s progressive views on education, the supporters of public schools could have little cause for complaint, and even Forrester quickly reconciled himself to the situation, recognizing that Rand was “thoroughly inoculated” with his own views. The two men continued to work closely together, and Forrester would later name Rand executor of his will. Rand came well prepared for the elevated position in which he found himself. He had been awarded an ma from Acadia in the spring of 1863 and had spent the ensuing summer visiting the schools of southwestern Nova Scotia. In touch with the current thinking on education in North America and Europe, he drew upon the experience of such pioneer educators as Horace Mann of Massachusetts and Egerton Ryerson*, chief superintendent of education in Upper Canada, in developing the public schools of Nova Scotia. Once in office, Rand manifested the energy for which he would eventually become legendary. In addition to prodding the government to improve the legislation relating to public schools, he founded the Journal of Education, first published in 1866, to fire the enthusiasm of teachers, encouraged the Provincial Education Association of Nova Scotia to bring educators together in a professional association, and led the assault against the opponents of the new system. These opponents were so numerous that, according to one observer, for a week at a time Rand “never took off his clothes. He would throw himself on a couch in his office for a few hours’ sleep, and then return to his work.” In many parts of the province there was outright defiance of the legislation requiring local assessment, and meetings to choose trustees and sites for new schools often ended in pandemonium. The religious question was equally contentious. Although Rand was committed to Christian education, he was opposed to any formal recognition of separate schools for the aggrieved Roman Catholics of the province. 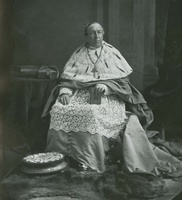 His public comments concerning this issue resulted in attempts on the part of Archbishop Thomas Louis Connolly* and Vicar General Michael Hannan* to have him removed from office. At Tupper’s insistence, a compromise was effected in Halifax that enabled Catholic-run schools to be eligible for the public school grant. Most of Rand’s time as superintendent was absorbed in working out the details of the new system. He commissioned a series of locally produced textbooks, supervised the development of blueprints for school buildings, and took great pains to find inspectors who would promote high and uniform standards in the schools across the province. He also introduced the grading system in larger schools and attempted to bring uniformity to the licensing of teachers. His reports outlining the progress made in education under the new regime were models of their kind, offering a variety of statistical charts to demonstrate the truth of his claims. His attention to administrative detail and his faith in the value of education for the improvement of individuals and society marked him as one of the new breed of professional school promoters. Although he failed to accomplish all that he set out to do, a goal neatly summed up in his motto, “Schools for all and all for schools,” he managed to lay foundations for a public education system in Nova Scotia that would remain fundamentally unaltered for nearly a century. Conscious of his delicate position as a civil servant, Rand refused to vote in public elections or espouse a political party. Nevertheless, he found himself in an awkward position when the Tupper administration was swept from office in September 1867. The new anti-confederate government led by William Annand* saw the education system as a haven for Tory sympathizers and a source of much sought-after patronage. Although initially reluctant to fire Rand, the members of the Council of Public Instruction were prepared to dismiss school inspectors. They also attempted to reduce the growing expenditures for education, which by 1868 accounted for more than a quarter of the provincial budget. Appalled by these developments, Rand lectured his new masters on the necessity of maintaining a permanent, non-partisan educational bureaucracy. 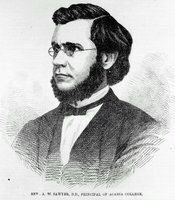 When Edmund Power Flynn, the Liberal member for Richmond County, introduced a bill in support of separate schools in 1868, Rand opposed the measure. The following year he came in direct conflict with Flynn, who was a member of the Council of Public Instruction, over an investigation Rand had ordered into the operation of a school run by the Roman Catholic Church in Arichat. Rand was dismissed as superintendent of education early in February 1870. Not one to submit quietly, he made a public issue of his firing, citing his opposition to separate schools in general and to Flynn in particular as the cause of his dismissal, and calling upon the “friends of Education” in the province to protect the superintendent from unwarranted political interference in the discharge of his duties. Soon petitions were circulating demanding that Rand be reinstated, and the Provincial Education Association of Nova Scotia made public its “alarm and indignation” at the government’s interventionist policy. Rand’s stand on separate schools undoubtedly was unpopular with the Catholic element in the province, but his firing was more the result of the rampant partisanship that characterized provincial politics and his own high-handed approach to the new administration. In particular, the Annand government had been disturbed over his behaviour in the so-called George affair in 1868. F. W. George, an inspector from Cumberland County, had been fired against the advice of the superintendent and had taken his case to court on the strength of a sympathetic letter written by Rand. The fact that Rand was replaced by another Baptist, none other than Rand’s former Cornwallis Church pastor, Abram Spurr Hunt, suggests that the government was less interested in establishing separate schools than in ridding itself of a difficult bureaucrat who put administrative interests ahead of political concerns. Called upon by friends to pursue a political career, Rand instead took the opportunity provided by his forced retirement to study firsthand the school systems of Great Britain. 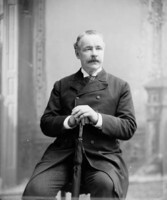 After his return to Canada in the fall of 1870, his interests focused on New Brunswick, where early the following year the coalition government led by George Edwin King* and George Luther Hatheway* was attempting to introduce a public school system along the lines of that laid down in Nova Scotia. The New Brunswick Common Schools Act was passed in May 1871, and in September Rand accepted the job of superintendent of education under the new legislation. As he had in Nova Scotia, Rand single-mindedly pursued the cause of public schools while controversy over separate schools, general assessment, and the requirements of the unyielding system established under the act raged around his ears. Roman Catholics in New Brunswick, having had de facto recognition for their schools prior to 1871, challenged the constitutionality of the new legislation in the courts and refused on principle to participate in the election of trustees or to pay their school assessment. They found support for their cause in the federal parliament, where demands were raised by John Costigan*, member for Victoria County, for disallowance of the bill or remedial legislation to guarantee New Brunswick Catholics their right to separate schools. Although the courts declared the 1871 law valid and the administrations of both Sir John A. Macdonald and Alexander Mackenzie proved unwilling to intervene in New Brunswick, the opposition to public schools continued unabated. In 1874 a carriage and span of horses belonging to Bishop John Sweeny* of Saint John were sold at auction because of his failure to pay school taxes, and Father François-Xavier-Joseph Michaud*, a priest at the cathedral there, was imprisoned for his resistance to those sent to seize his goods. When resistance led to violence and two deaths in the predominantly Acadian village of Caraquet in January 1875, a compromise much like the one forged by Tupper in Halifax was struck [see John James Fraser]. Roman Catholic children could attend their own schools and be taught by members of Catholic religious orders. They were to learn the catechism after school hours. Rand worked diligently behind the scenes to prevent the principle of separate schools from being formally recognized, at the same time doing his best to placate the unhappy minority. His sympathies seemed to lie more with the Acadian French, for whom language was an issue, than with English-speaking Roman Catholics who led the denominational battle. Rand sought appropriate French texts from the Ontario system and supervised the production of a bilingual reader, which was subsequently used in the state of Maine. He also recommended the establishment of a preparatory department at the Normal School in Fredericton for the benefit of French-speaking students unable to cope with regular classes taught in English. Nevertheless, he was still ethnocentric in his approach to French-language instruction, which he considered to be preparatory to advanced study in English. During his years in New Brunswick, Rand’s interests were increasingly directed toward educational theory and the development of the higher levels of education. As superintendent of education he was made an ex officio member of the senate of the University of New Brunswick in 1878, a position in which he performed with characteristic vigour. 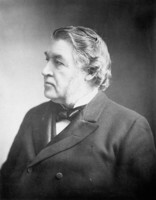 Acadia College awarded him a dcl in 1874 and also appointed him to its board of governors. He was twice chosen as president of the Baptist Convention of Nova Scotia, New Brunswick and Prince Edward Island, in 1875 and again in 1881. Rand chaired a committee, which included James William Manning and James William Johnston Jr, that in 1883 recommended to the Acadia board of governors that the college cooperate with Ontario Baptists in making Toronto Baptist College a theological seminary for all of Canada. With the departure that year of Daniel Morse Welton*, Acadia’s professor of Hebrew and systematic theology, to Toronto, Rand accepted an offer, confirmed at a board meeting of 11 September, to take Acadia’s new chair of principles and practice of education. Once again Rand found himself the centre of controversy. Opposition developed to the chair, to Rand, and to the general direction in which the governors of Acadia were taking Baptist higher education. Many Baptists resented the removal of theology from their college and saw little value in a chair of education, the first of its kind in Canada. There was also a strong feeling that Rand’s salary of $1,600 a year was too much for the financially strained institution to bear and a slap in the face to President Artemas Wyman Sawyer*, who received $400 less. The issue was finally resolved in December by Rand’s agreement to take a $600 reduction in salary and a promise from his friends to fund the controversial chair, now designated education and history, for a period of five years. During Rand’s tenure at Acadia, students who took his courses in psychology, physiology, and education, as well as special courses on method and management, received a teacher’s diploma in addition to their bachelor’s degree. Rand proved a popular teacher, and students were sorry to see him leave two years later to take a position as professor of apologetics, Christian ethics, and didactics at Toronto Baptist College. His new appointment, though less controversial than the previous one, again landed him in the centre of a vortex. In 1885 Ontario Baptists were in the midst of a debate about the relative merits of federating their college with the University of Toronto or establishing a separate institution. They were also divided on whether the centre of Baptist education should be located in the provincial capital or developed around their college in Woodstock. John Harvard Castle*, president of Toronto Baptist College, and another of his recent appointees, Malcolm MacVicar, had already laid plans to expand the arts component of their theological school, and they had misgivings about federation with the University of Toronto. Rand proved a valuable ally in Castle’s efforts to expand Baptist education in Ontario. Within a year of his arrival in Toronto, Rand agreed to become principal of Woodstock College, on the condition that “the institution may be freely developed to the fullest degree as a Christian school of learning, – as its future resources may permit.” He apparently planned to make Woodstock a centre of education much like Wolfville, with male and female preparatory schools and ultimately a coeducational college. To that end he presided over an ambitious building program at the college and during the summer of 1886 conducted a successful fund-raising campaign to support his activities. Rand also chaired the charter committee of the proposed new Baptist university, which would later be named after Senator William McMaster*, the major patron of Baptist education in Ontario. In March 1887 he and Castle appeared before the private bills committee of the Ontario legislature in support of proposed legislation to unite Toronto Baptist College and Woodstock College and incorporate them as McMaster University. The bill was assented to on 23 April. 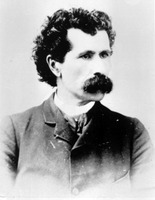 When it became clear, early in 1888, that Toronto would be the location for the new arts division of the university and the ladies’ department, to be renamed Moulton College, Rand resigned his position at Woodstock and returned to Toronto to help prepare the curricula for Woodstock, Moulton, and McMaster. In July the following year he was appointed to the chair of the science of education, ethics, and civil polity in the new arts department of McMaster, slated to open its doors to students in the fall of 1890. In preparation for his new appointment Rand spent the 1889–90 academic year on a leave of absence in Britain. While he was out of the country, MacVicar resigned as chancellor of McMaster, and Rand was summoned home to participate in efforts to find a replacement. Curiously, Rand himself was not initially offered the position, which remained vacant for the time being. Instead he served as chairman of the new arts department. In 1892, in recognition of the role he was fulfilling in all but name, Rand was appointed chancellor of McMaster University and had the satisfaction of presiding over the ceremonies when the first class graduated two years later. Characteristically, he supported the hiring of Canadians on the faculty and was open to the introduction of new courses in the curriculum, such as English literature, political history, and English Bible. By the time failing health prompted Rand to resign from the chancellorship in May 1895, McMaster was firmly established in the firmament of Canadian higher education, a fact in which Rand took much pride and for which he took some credit. He remained on the staff as emeritus professor of education and English literature. In the last five years of his life Rand returned to the poetic interests of his youth. During his McMaster years he had spent most of his summers in the Maritimes, and he had published several poems in the McMaster University Monthly, founded in 1891 apparently through his inspiration. In 1897 in Toronto he published At Minas Basin and other poems, a work that proved so successful that an enlarged second edition appeared the following year. Rand’s poetry tended to be too intellectual and complex to make him a popular poet. Nevertheless, several of his poems gained a wide readership, including “The dragonfly,” which has frequently appeared in anthologies. Rand also edited A treasury of Canadian verse (Toronto and London, 1900), a comprehensive anthology that was well received by his contemporaries. The collection reflects both his pride in Canada and his long-standing love of the natural world. A second volume of his own verse, Song-waves (Toronto, 1900), was in the final stages of publication when Rand departed for Fredericton in May 1900 to receive an honorary llb from the University of New Brunswick on the centenary of its founding. He collapsed and died on 29 May only hours before the degree ceremony was to commence. Even in death Rand seemed unable to avoid the dramatic. A man of action rather than an original thinker, Theodore Harding Rand was by all accounts a difficult colleague. His high sense of purpose inevitably made him reluctant to compromise on the difficult issues of public policy with which he was called to deal, and his remarkable energy often left his colleagues breathless in his wake. Admired by his friends and despised by his enemies, Rand drew fire wherever he went. His lasting achievements included the establishment of two provincial school systems and a major Canadian university. His mark can also be found on journals of education, volumes of poetry, and countless speeches recorded in the Christian Messenger (Halifax) and the Canadian Baptist (Toronto). Ever sensitive to shifting intellectual currents, Rand embraced rather than rejected the secular and scientific developments of the late 19th century, arguing that all was part of God’s magnificent plan. It was his goal to develop in himself and in those with whom he worked an awareness of the larger Christian purpose for all things sacred and secular. Receptive to the message of the Social Gospel, which was becoming popular in the 1890s, he was sympathetic to socialist ideas, trade unionism, and missionary efforts. He saw education as a means of releasing the physical energy and soul force that would enable young men and women to find purpose in their lives beyond selfish materialism. “Christian education as a conscious process,” he announced in his first address as chancellor of McMaster, “means the development of a life; the turning of possibilities into powers, and the effort to control these powers by a conscience enlightened by the Word and Spirit of the Divine Master and Teacher. It means the cultivation of true and pure tastes, the choice and pursuit of worthy ideals, and the effort to establish a unity and balance of all the forces of one’s nature. It means self-discipline, self-training, self-organization, the getting the use of one’s self.” Throughout his busy life in the service of Christian education in three Canadian provinces, Rand was ever disciplined, trained, organized, and useful, the epitome of his own ideal. Theodore Harding Rand’s publications include “Dr. Rand’s address,” McMaster Univ., Educational addresses (Toronto, 1890), 5–17, and “Susan Moulton McMaster,” “The chancellor’s address; graduation – May 1st, 1895,” “Thomas Trotter,” and “Our educational principles and ideals,” all in McMaster Univ. Monthly (Toronto), 2 (1892–93): 153–60; 4 (1894–95): 349–54; 5 (1895–96): 289–94; and 7 (1897–98): 51–57, 110–15 respectively. 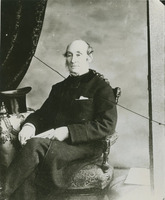 His reports as the superintendent of education for Nova Scotia and for New Brunswick are found in N.S., Council of Public Instruction, Annual report of the superintendent of education (Halifax), 1864–69; and in N.B., Annual report of the common, superior, grammar, and training and model schools (Fredericton), 1872–79, and Annual report of the schools, 1880–84. Acadia Univ. Arch. (Wolfville, N.S. ), Board of Governors, minutes, 1860–85; T. H. Rand–I. B. Oakes corr. Canadian Baptist Arch., McMaster Divinity College (Hamilton, Ont. ), Toronto Baptist College, corr., 1885–90; Woodstock College, T. H. Rand-Principal Bates corr., 1892–93. PANS, MG 1, 1538B; RG 14, 69, no.1; 81. UNBL, UA, minutes of the Senate, 3 (1860–1904), 13 Dec. 1871. Acadian Athenæum (Wolfville), 1883–85, 1900. Correspondence: anonymous and otherwise, concerning the new chair at Acadia College . . . (Halifax, 1883). Educational Circular for the Prov. of New Brunswick (Fredericton), no.1 (1875)–no.14 (1882). Journal of Education (Halifax), September 1866–April 1870. McMaster Univ. Monthly, 1 (1891–92)–10 (1900–1), esp. E. M. Saunders, “Theodore Harding Rand,” 2: 2–9 [biog. written during Rand’s lifetime], and the same author’s “Theodore Harding Rand,” 10: 2–9 [an obituary tribute]. N.B., House of Assembly, Journal, 1872–83. 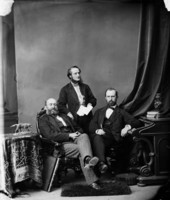 N.S., House of Assembly, Journal and proc., 1864–70, esp. 1870, app.21–22. Canadian Baptist (Toronto), 1885–1900. Christian Messenger (Halifax), 1855–84. Margaret Conrad, “‘An abiding conviction of the paramount importance of Christian education’: Theodore Harding Rand as educator, 1860–1900,” An abiding conviction: Maritime Baptists and their world, ed. R. S. Wilson (Hantsport, N.S., 1988), 155–95. C. M. Johnston, McMaster University (2v., Toronto and Buffalo, N.Y., 1976–81), 1. G. E. Levy, The Baptists of the Maritime provinces, 1753–1946 (Saint John, N.B., 1946). R. S. Longley, Acadia University, 1838–1938 (Wolfville, 1939). A. B. McKillop, A disciplined intelligence: critical inquiry and Canadian thought in the Victorian era (Montreal, 1979). K. F. C. MacNaughton, The development of the theory and practice of education in New Brunswick, 1784–1900: a study in historical background, ed. A. G. Bailey (Fredericton, 1947). Alison Prentice, The school promoters; education and social class in mid-nineteenth century Upper Canada (Toronto, 1977). G. H. Clarke, “Chancellor Theodore Harding Rand,” Canadian Baptist, 1 Oct. 1944. A. F. Laidlaw, “Theodore Harding Rand,” Journal of Education, [4th ser. ], 15 (1944): 207–18, 325–34. Margaret Conrad, “RAND, THEODORE HARDING,” in Dictionary of Canadian Biography, vol. 12, University of Toronto/Université Laval, 2003–, accessed April 20, 2019, http://www.biographi.ca/en/bio/rand_theodore_harding_12E.html.